Note from shop owner Welcome to The Dorset Finca shop! I'm sorry but we are closed for the moment. In the mean time, please pop on over to The Dorset Finca blog to keep up to date with the latest goings on. Welcome to The Dorset Finca shop! I'm sorry but we are closed for the moment. The Dorset Finca does it again - 3 gorgeous bunnies ready for my Easter decorations! So cute, beautifully made and ready to hang. Roll on Easter!!! Lovely hat and great customer service. Thanks so much! The most perfect little bag charms! Handmade to order in no time at all. Exquisitely made & packaged & excellent value for money! What's not to like? 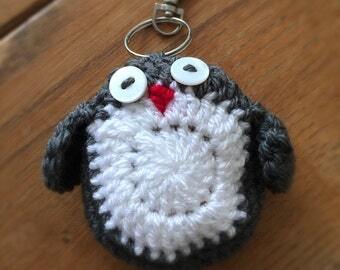 This cute little fellow has just been added to the shop. The perfect stocking filler for guaranteed smiles! Super soft, super elegant and one of my all time favourites. Time to give the jeans and t-shirt combo a facelift?! A few years ago I discovered crochet. 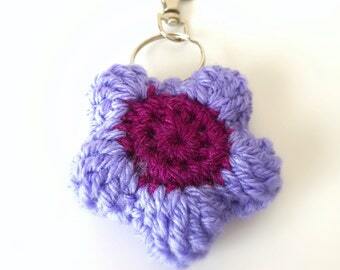 I immediately fell in love with this craft and my new skill allowed me to design and create whatever was in my mind - crochet is very versatile! I am continually inspired by my surroundings and am lucky to live amongst some of the most beautiful countryside and coastline, here in Dorset. The view, the weather and nature shape the designs that I create, from the initial idea down to the yarn that I choose. Thank you for visiting and I hope you enjoy having a look around.